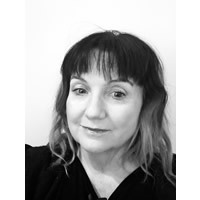 Janine Kerr was born in Australia and has managed bands, started Beat Magazine (Australia) and was an assistant at JWT Melbourne. She eventually headed to leading Australian publisher, Mushroom Group, in the Licensing Department and moved to LA, bringing the Mushroom catalog with her. In LA, Kerr also worked for iconic Australian artist Tina Arena and pitched Australian music to Baywatch and spent time with Sony/ATV Music Publishing. Her start in music supervision began at NBC Promos and eventually found her her music supervising and running Fox Sports Music. She made her back to Australia after four years with Fox to start Jingle Punks Music in the territory. After a few months, she made the decision to return to Los Angeles and began her role with Riptide. As VP of Film/TV at Riptide, Kerr is responsible for film, TV and promos, as well as overseeing the Licensing Department.